I do a lot of different projects for a wide range of businesses and people. Things like logos, websites and merch are common. I love learning new things and taking on challenging projects. Here are 12 ways we could work together. Got an idea? Let’s chat! Maybe you have never heard of websites or maybe you need an update to a site you’ve had for 10 years. Either way there is usually something I can do to help get you current on the internet. I like to make new sites in Square Space or Wordpress for the ease of handing it off to the client. I have a lot of experience making posters and other event advertising collateral. Print, social media, websites and merch are some of the things I’ve designed for events, musicians, and city governments alike. I can design you a poster, or we can work together to come up with an entire campaign strategy. Pitching a new event or idea can be stressful, and making a good impression is imperative. Having a well designed pitch deck can be the boost you need in a presentation. I can provide a print or digital deck experience, you provide the content. Sometimes what we do is more complicated than a simple tagline and needs a good explanation to really sell it. A well written e-book designed with simple to follow formatting can help you seal the deal. A designer can make sure your content sticks with whomever reads it by creating interesting page designs. Picture this: you’ve got pages of great stats and info in a Word doc. Are you sleeping yet? Jazz up those little info snacks with some icons and pie charts for more impact. I can make your info come alive with original illustrations, icons and other fun design elements. Logos are a major investment for any company, and its best to get it right! My process involves getting to know you and getting to know what you do. I become your biggest fan and your logo becomes my personal mission. I own some big huge antique presses and can make your business card a unique experience. We can pick paper and get a plate made of your logo. It could be printed in gold. Just saying. Hand drawn style isn’t for everyone, but it does lend character to whatever it’s used for. If you are looking for illustration, you probably have an idea. Share it with me. I’ll draw you something magical. Also, I like lettering enough to dedicate a couple sentences here. Need a hand drawn logo for your band? Just say so. Need some fancy script for a chalkboard? Let’s do this. I have a considerable amount of experience in this department. Do you need a visitors guide? I used to design official visitors guides for over 25 US cities and states. Updating your official state map? I can handle the task. 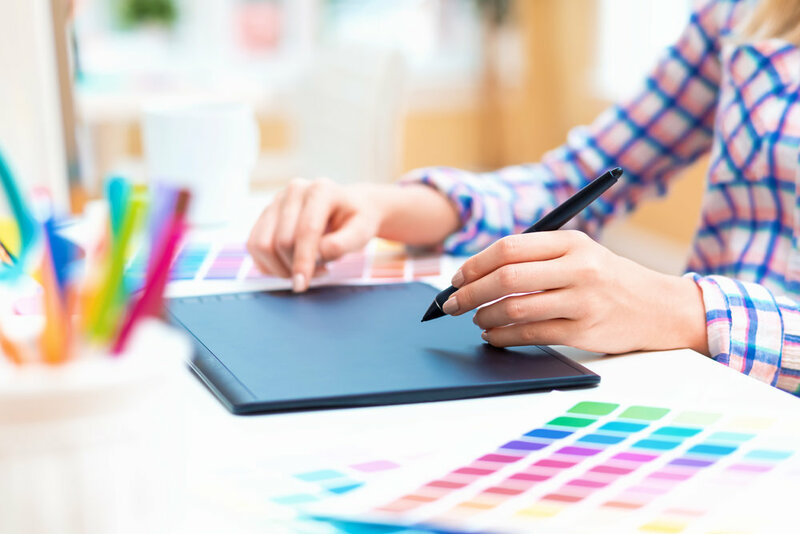 From brochures, to catalogs, to editorial design — I have the skills to get it done for you. I have a ton of actual food service experience (bartending & serving), and happen to love great food and cocktails. Those experiences make me an expert at menu design. Making menus organized and creative is one of my favorite things. A well designed menu can elevate the experience for the customer and increase sales! Screen printing adds character to design that digital and offset printing doesn’t have. My studio can handle 2 color prints and up to 11 x 17 poster size. There are countless other ways we can work together to help your business, band, conference or festival. I want to make great experiences for customers everywhere using my design and art skills. If you like what you've seen and read, let's connect!